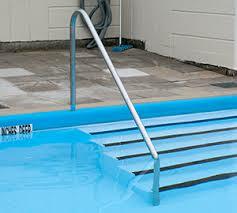 High grade 316 stainless steel tubing is used to manufacture our custom handrails for swimmig pools. We can also manufacture other types of handrails using our bending machine which allows us to bend metal pipe/tube, flat bar, square tubing and also solid round or square bar. We can basically manufacture whatever our clients want or need and we pride ourselves in offering a custom service where we are keen to try new things and create imaginative products with unique designs.